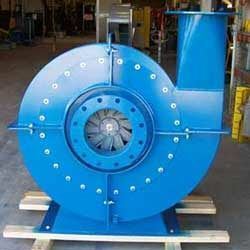 We are an acclaimed name engaged in offering our precious clients Combustion Blowers. The given combustion blower is developed utilizing high grade of material and modern technology as per the set norms of industry. 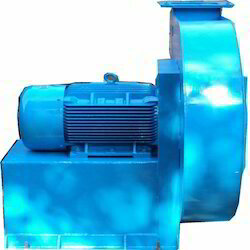 Our offered combustion blower is available in numerous specifications as per the requirements of the customers. We are offering top notch quality combustion blowers that are designed to provide optimum cfm volume and pressure of air with low power consumption. They are known for their reliability, efficiency, long service lives and could be used on various applications requiring low pressure air. We charge simple rates and always adhere to industry leading guidelines. - Static Pressure : 15 mm WG to 2500 mm WG. - Application : Air / gas handing, Air Ventilation, Air Cooling, Dust Extraction, Air Combustion, Air Humidification, Pneumatic conveying Fume Exhaust etc.